With Valentine’s Day right around the corner, you’re probably already seeing lots of heart-shaped and red products hitting shelves in stores all around. 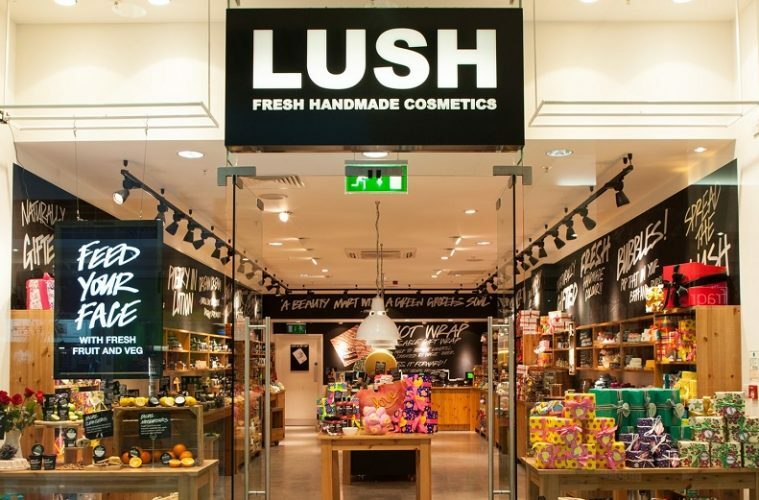 Whether you’re cuffed with a S/O, or single and just want to shop for yourself or your BFF for Galentine’s Day instead, Lush has you covered. 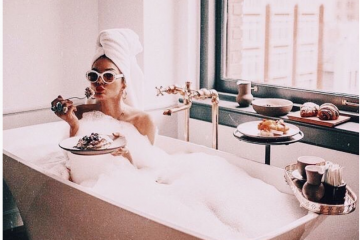 They recently launched Valentine’s-themed bath bombs and massage bars. Ditch the lame flowers and sappy cards; this year, Lush turned up the heat with their new steamy lineup inspired by emojis! 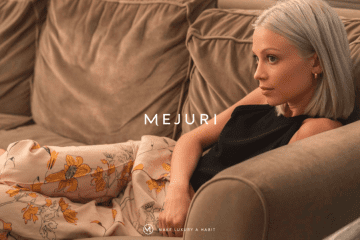 Last month, the brand unveiled a few new products in the new 2019 Valentine’s collection which features bath bombs and massage bars based on frequently used emojis that you’re probably all too familiar with. Here are some of the products featured in the collection. 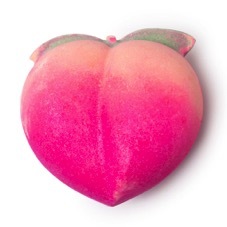 Does this pink peach remind you about a certain scene from “Call Me By Your Name”? This cheeky bath bomb fizzes into a juicy peach and pink grapefruit scent with sweet davana. The key ingredient is its fresh peach juice. 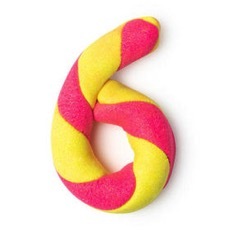 Drop it into the tub and you’ll be bathing in a pink swirly dream. This racy aubergine-shamped bath bomb was inspired by the NSFW emoji itself, and according to Lush, just the tip of the bath bomb fizzes up a bit faster than the rest once it hits the water. The fresh ingredient of this bath bomb is Bergamot oil with hints of wood. 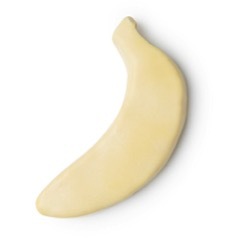 This banana-shaped massage bar will have you rubbing this all over your body. Made with fresh banana, ylang ylang, hydrating cocoa and shea butters and Brazilian orange oil, this massage bar will keep your skin hydrated and moisturized all night long. Just apply it onto dry skin and massage away. This reusable bubble bar comes in different colours. Fused with spicy clove bud and floral ylang ylang oil, this bubble bar will leave you feeling shameless. Just run it under water and you’ll get a bathtub full of bubbles going. Remember your younger days when you would play with toy boats and rubber ducks in the bath tub? 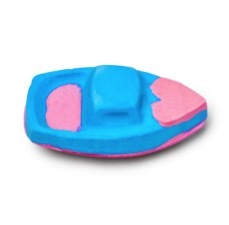 Well this bath bomb is bound to bring back nostalgia with this love boat. With it’s beautiful pastel colours, this bath bomb includes rose oil with hints of a sweet lemon-orange scent. Relax in this soothing and fragrant scent; all aboard the love boat! 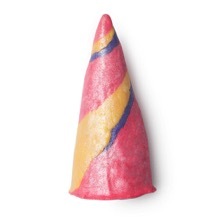 With this whimsical unicorn horn, indulge yourself in a magical and fun bath. With it’s main ingredient being lavender oil, you’ll definitely find yourself relaxing in colourful pastel waters full of rainbow glitter and dreams. Fused with ylang ylang oil and neroli, this bubble bar will give you the most enchanting and dazzling experience yet. There’s many more products featured in the Valentine’s Day collection, which you can check out both online and in-stores, only for a limited time.